Did you ever make those googly eyed candy cane reindeer as a child? I used to make so many of them to hang on the tree! 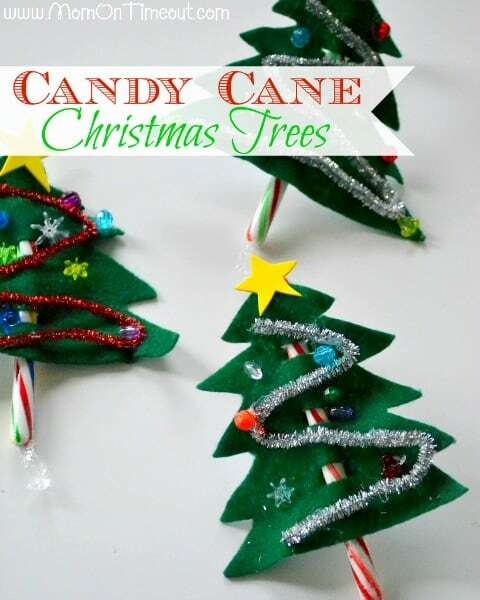 There are so many cute craft ideas that you can make using a candy cane. With a little bit of Pinterest searching, I’ve put together a few candy cane crafts would be fun to try with your little ones. 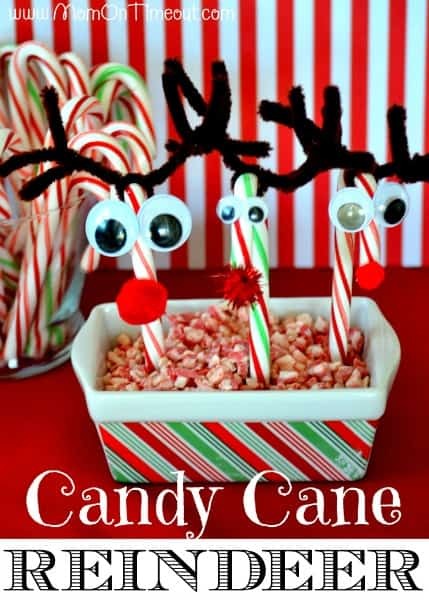 These candy cane reindeer are so easy to make and look great on the Christmas tree! You can also make a few to tie onto gifts with a pretty ribbon. Check out the tutorial on MomOnTimeOut.com. These candy cane Christmas trees are so clever! This would be a great craft for your little ones on a cold winter day like today. They would also be a great treat for little ones to hand out to classmates. Check out the tutorial on MomOnTimeOut.com. 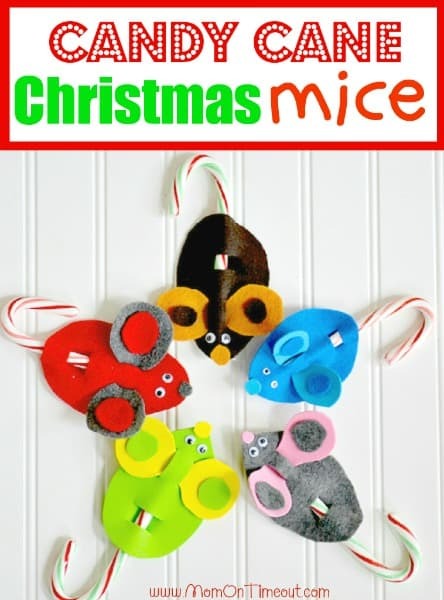 Here is another idea that would be great as treats for classmates – candy cane mice! This is one mouse that I wouldn’t mind finding hiding in our Christmas tree. Check out the tutorial on MomonTimeOut.com. 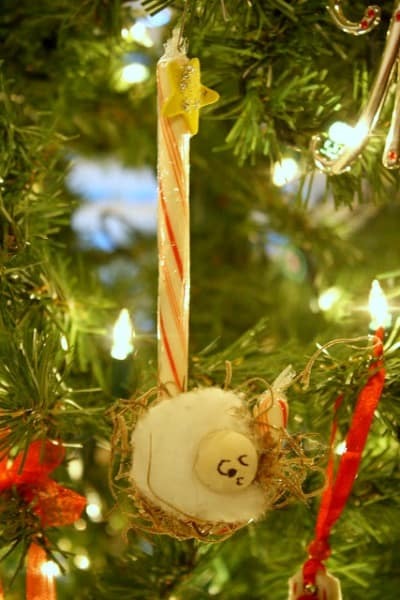 These candy cane ornaments by Tres French Hens are absolutely adorable! I love homemade ornaments. My mom still has so many of mine that are probably 30+ years old now. Do you hang a wreath on your door during the holiday season? 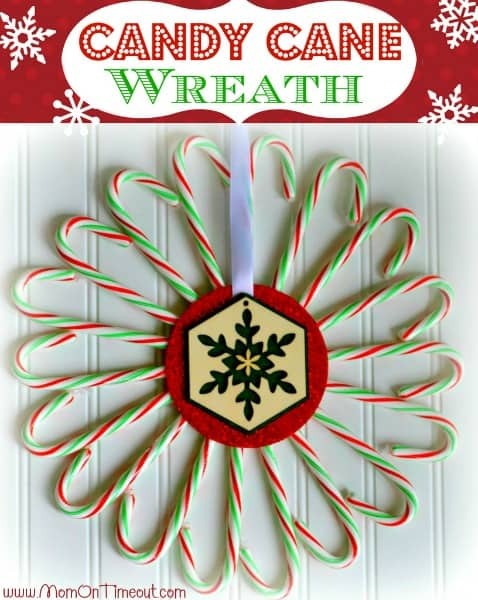 Here is a fun idea for a delicious wreath made of candy canes. Check out the tutorial on MomonTimeOut.com. For more ideas for holiday fun, visit our Christmas Fun page. We have free printable games (charades, scavenger hunts, etc. ), party ideas, cute Christmas snacks and more! Our free printable Christmas games are all over Pinterest so you may have already pinned a few of them. We’re always adding new ideas so follow along on Facebook, Twitter, Pinterest and Bloglovin’ for the latest updates.